- Less noise and dust generation. 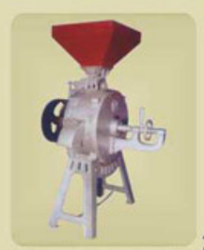 Horizontal Grinder (Pat Chakki) is used in Atta/Besan Plant. Our range of Horizontal Surface Grinder is specifically applied to grinding projects of some selective metals. This structure holds three phases Spindle Motor that performs the work with optimum speed and highest accuracy, thus delivering reliable outcomes.